These are apples and oranges. 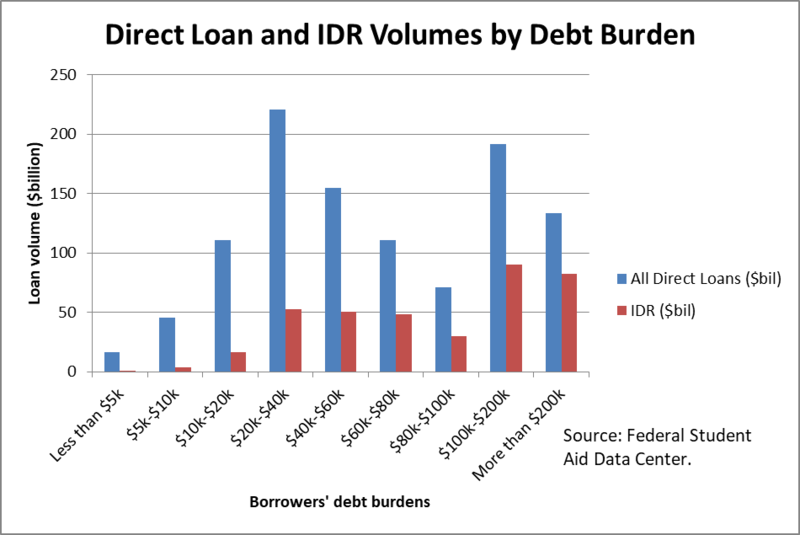 Some of the data sets include only Direct Loans. Others include both Direct Loans and ED-serviced FFELs. For example, Table 1 takes total ED-serviced IDR (Direct Loan + ED-serviced FFEL) and divides by a DL-only number. Anything “at the institutional level” would be somewhat of an estimate, due to the prevalence of consolidation loans in IDR plans. Consolidation loans do not have a specific school or school type, and tracking them back to the originally-incurred debt requires some assumptions. As the discussions during the 2010 GE negotiations indicated, allocating current consolidation debt to specific schools is not a straightforward exercise. “REPAYE does a particularly good job keeping people current on their loans relative to other types of income-driven repayment and standard plans.” Not exactly.